Regularly checks if a host is online and reponds to ping requests. 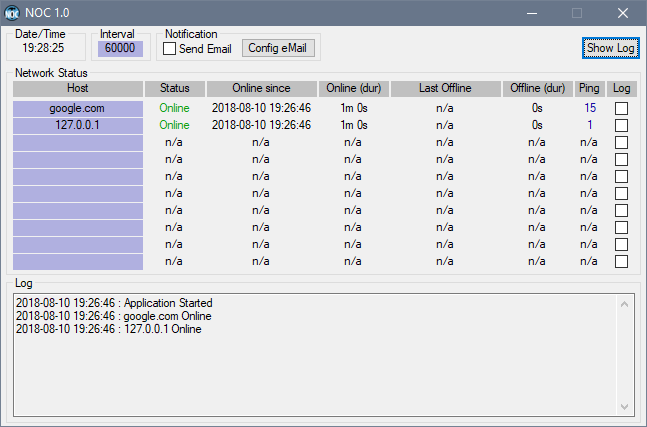 Logs Online State and sends notification email if a host if offline. Log files are stored in the “Logs” folder in the application folder. Settings are stored in the file “Prefs.ini” in the application folder. 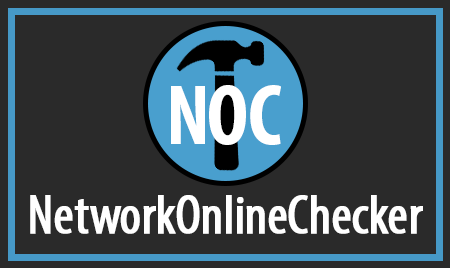 Online-Check interval Time can be set from 1 to over 40000 seconds. To change the interval time just click in the blue field with the title “Interval”. notifiction per email can be set and the intervall how often a email is sent if a host is offline. 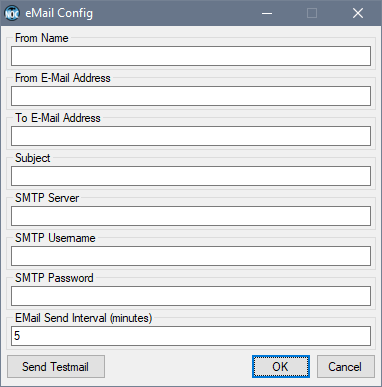 For EMail notification click on the “Config EMail” Button to fill out email credentials.